Our final few days in London were full of nice surprises. 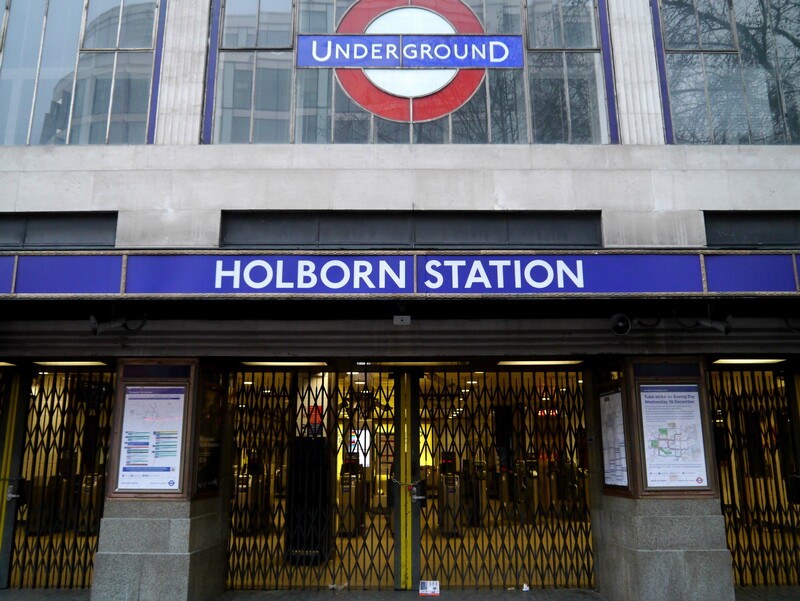 We spent Christmas day around the hotel, most of London was shut down including the Underground, so there was no point in going anywhere unless we wanted to pay for a taxi. It was really strange to see a city as large as London basically shutdown. I took a walk with my father down the street and we really didn’t see that many people and even the streets weren’t that busy. 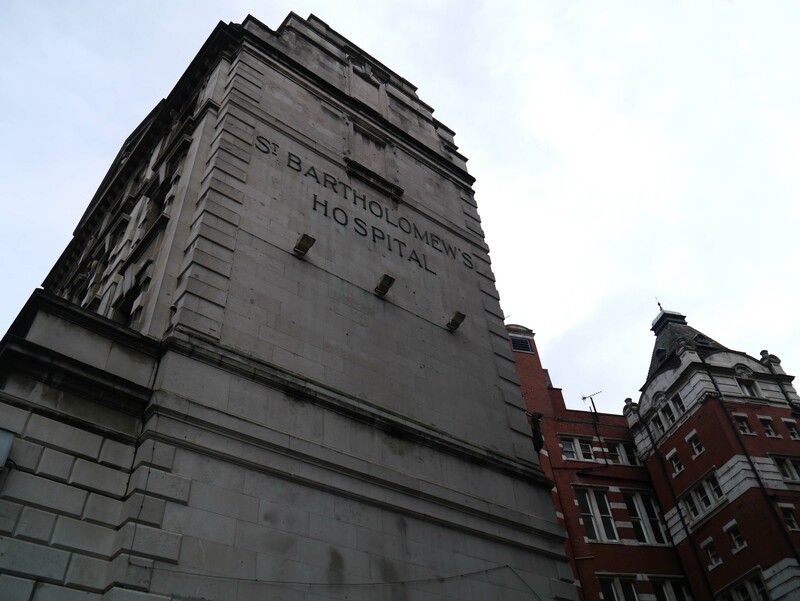 The following day was our final day in London and my sister had been wanting to visit St. Bartholowmew’s Hospital, which is where Sherlock and John (from Sherlock Holmes) met for the first time. We took a quick taxi to St. Peter’s Church and from there it was only a short walk to the hospital. St. Bart’s was huge and confusing and we spent a long time trying to find the plaque that commeorated Sherlock and John meeting, eventually we were told that it was in a museum inside the hospital and the museum was closed. Dissapointed as we were, we still found a few fun things in the area. My entire family has watched the BBC version of Sherlock and so we recognized the area where the final scenes of the last season were shot. 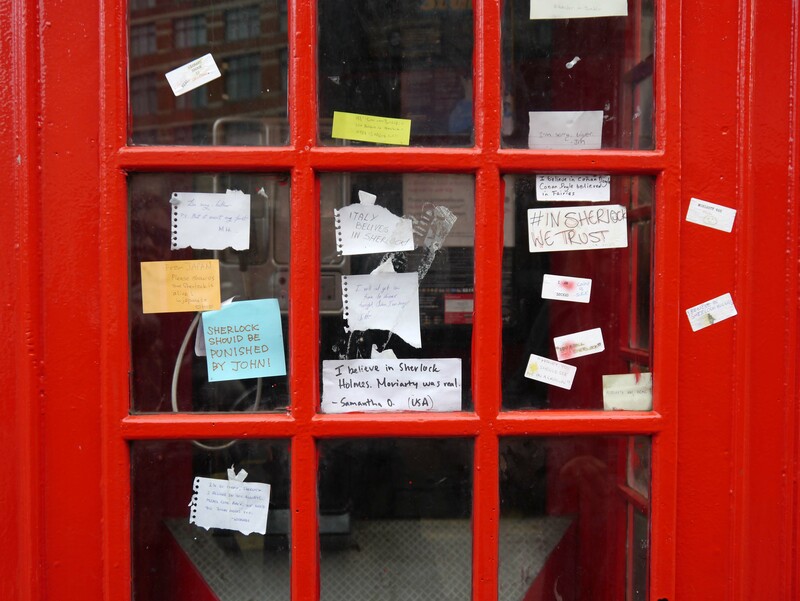 As we walked around the hospital we happened upon a telephone booth with little notes pasted on the inside. 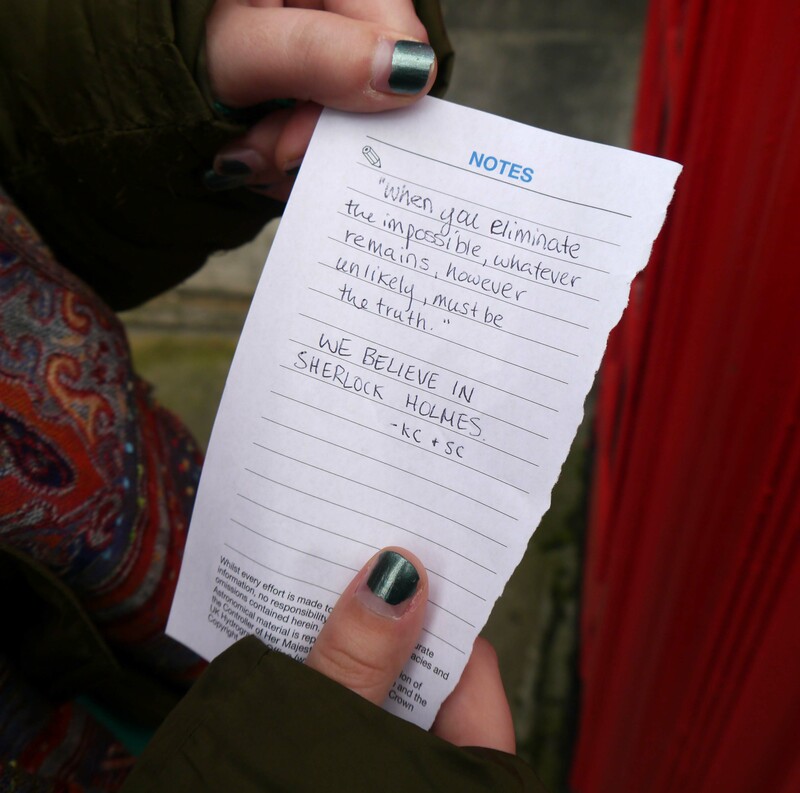 Without spoiling anything, the notes were geared towards Sherlock and one of the themes in the final episode. My sister and I added one to the booth. 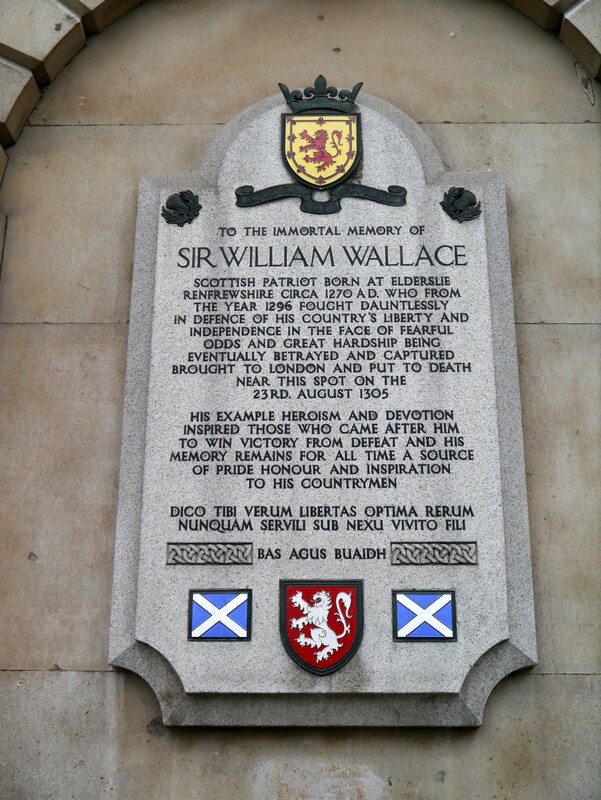 A little further down, we came upon an unassuming plaque, which to our surprise was put up in memory of Sir William Wallace, who as some of you might know, was the main made famous by the film Braveheart. 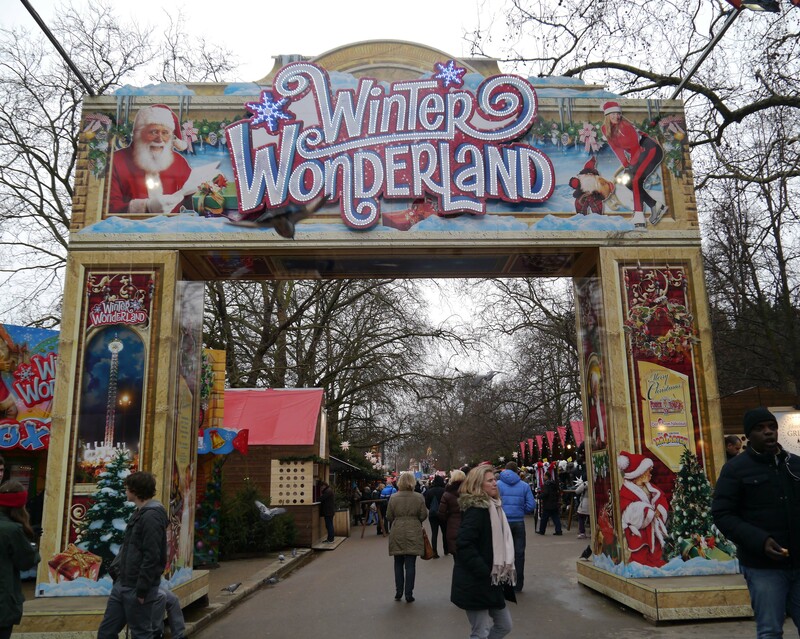 After exploring a very cool courtyard next to the hospital, we made our way over to Hyde Park, where there was a winter wonderland set up, with rides, restaurants and games. It was great to see all the stalls of food and gifts lining the street. Tt reminded me of the Christmas markets in Austria, although the markets in Austria are the best I’ve seen so far. 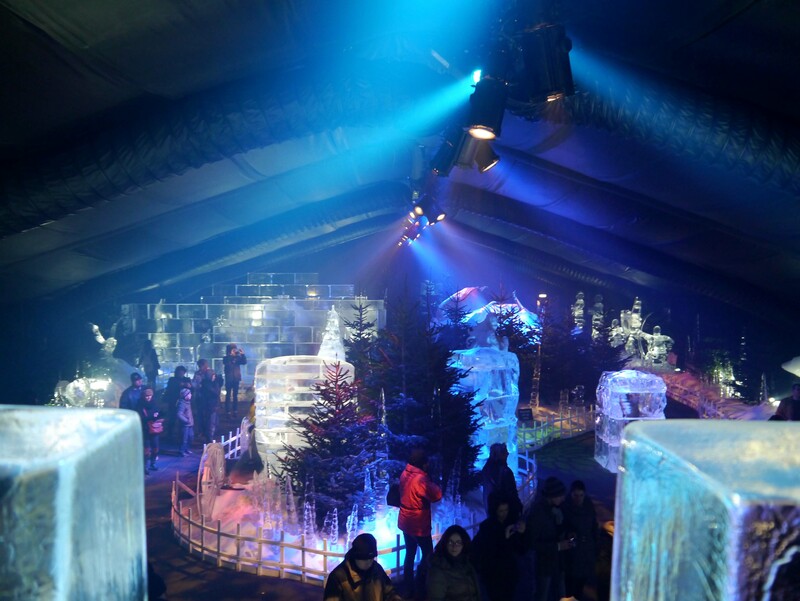 A lot of the restaurants in the Winter Wonderland were based on the stereotypical Bavarian taverns for Oktoberfest. 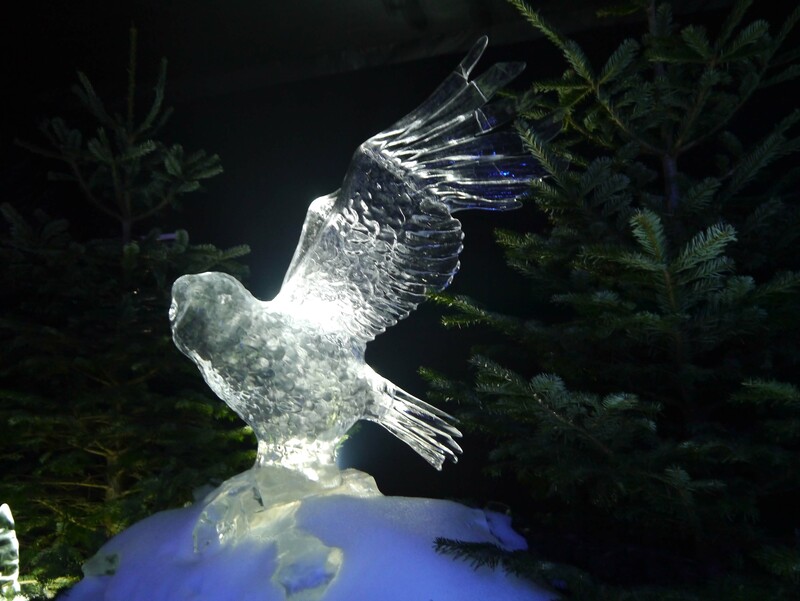 Towards the back of the wonderland was an ice palace, which had some amazing sculptures. 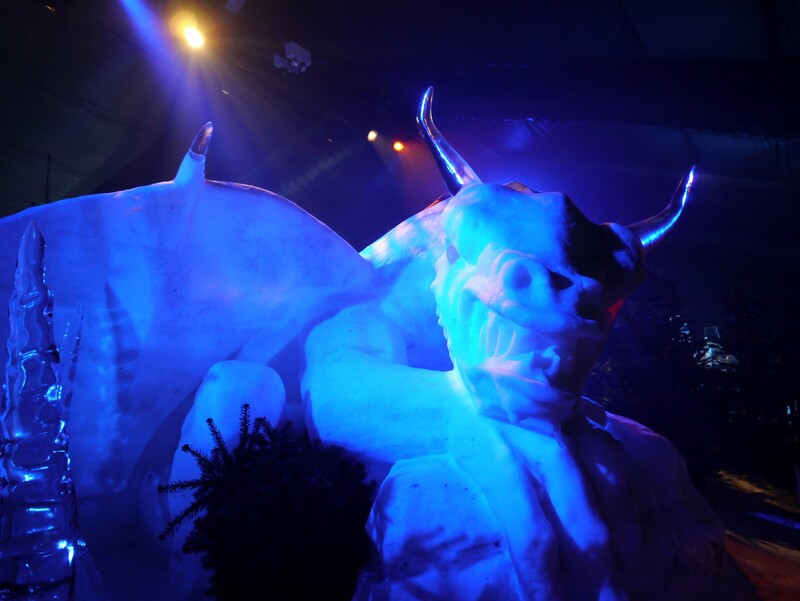 My favorite sculpture; a giant dragon! 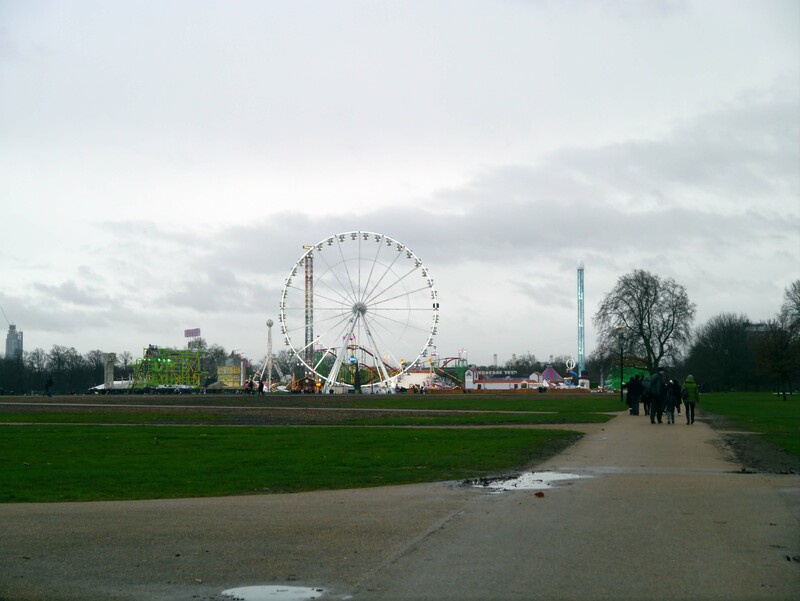 The Winter Wonderland from across the park. As we were heading back to the hotel we made a chance sighting. As we walked through Leicester Square we saw Stephen Hawking coming out of a theater. My first celebrity sighting and it was of one the most intelligent men in the world! 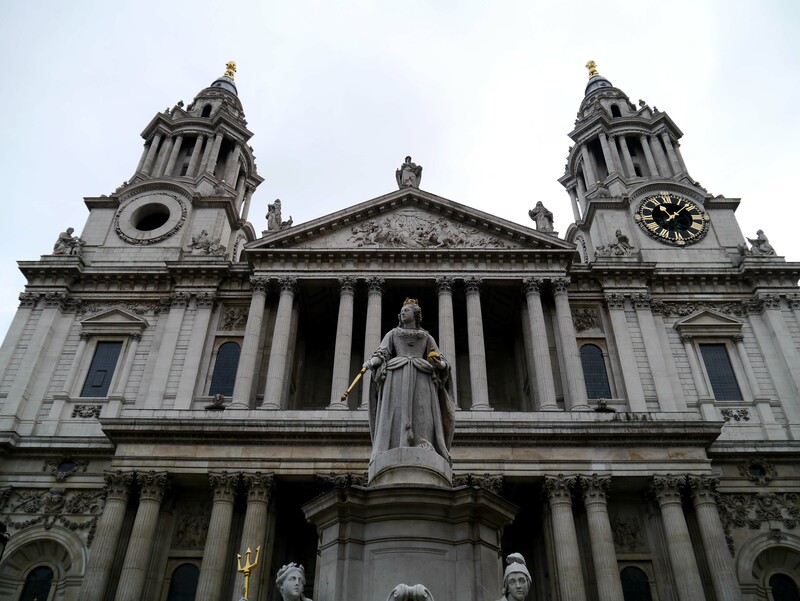 I spent five months in Europe and although I was sad to leave it all behind, by the time I stepped onto the plane at Heathrow, I was done and ready to be home. Nobody was looking forward to the flight back, but somehow our tickets were upgraded to business class and we spent the 11 plus hours of travel in style, with our own reclining seats, TVs and pillows. Stepping back into the Portland Airport and seeing that horribly patterned green carpet had never felt better!